There has been some talk surfacing lately about weather products sold on television are legitimate or just scams with high dollar advertising. When your mobility depends on a product such as a stair lift, you should take care and caution before purchasing. Acorn Stairlifts is a rapidly growing business advertising on televisions across the world, and with the growing success comes a matching growth in Acorn Stairlifts complaints. Though the Company has an A+ with the Better Business Bureau, there have been complaints about their product and service. The reason for the high rating appears to be that they make a good faith effort to fix any problem at hand. The most common dissatisfaction issue, however, is in the product and its quality. One consumer states that the unit broke down within 24 hours of installation, followed by less than desirable customer service in attempts to have the malfunction resolved. Another consumer states that “Acorn does not service what they sell”. The complaints lead to the assumption that many customers have felt mislead into buying a product that are “unstable” where the advertising has become the number one priority over quality. Walking up to the complaint department. A former employee states that this is an unprofessional company who funds advertising more than product improvement. Some even think that it is a “scam to take advantage of the elderly.” Just the thought of someone taking advantage of the elderly could make ones stomach turn, but what about the handicapped as well? More complaints include the warranty which is along the lines of the common product and service complaints. The company declines to honor its warranties weather they are one year or lifetime. Consumers are out great deals of money for paying for independent repairs when the manufacturer refuses to service their own warrantied products. Another criticism has been the extra charge for overweight consumers. Upon further investigation, the only difference between a regular and heavy duty model is a sticker, and a scam that the company uses to pad the costs of merchandise. With all of these Acorn Stairlifts complaints, it seems confusing how a company can even make an effort to remedy the problems enough to receive an A+ with the Better Business Bureau. 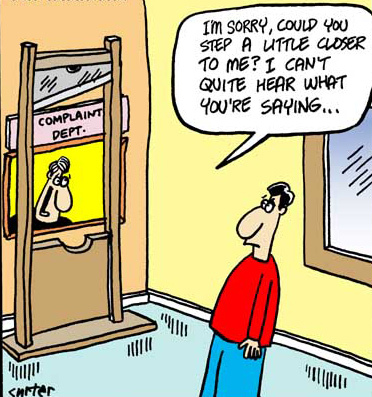 All in all out of 25 complaints in 3 years only 8 have been closed within the last 12 months. Is it just that people are not reporting their issues to the BBB, or is their participation in the online program including special procedures if necessary for resolving disputes enough? When buying a stairlift, be sure to shop around. Talk to others who have purchased a lift, call into customer service with questions, compare quality and reviews. Treat it like any other investment to ensure you are not purchasing something that you will come out less than satisfied with. When researching which stairlift you want to purchase, don’t only search for prices, but include reviews, opinions, and consumer complaints into your search as well.